TL; DR: By jump-starting the German hosting business in 1997, Hetzner Online has built a legacy of state-of-the-art, efficient datacenters and powerful, custom-built dedicated servers. In-house engineers designed the company’s two datacenter parks, which feature redundant and energy-efficient utility systems. With more than two decades of experience in hosting, Hetzner Online deploys specialized hardware configurations that meet customers’ exact needs. Employees from across the company contribute to customer support, promoting a comfortable and reliable environment for thousands of customers. In the early days, web hosting in Germany was quite expensive when compared with the US and Great Britain. While demand boomed, German customers had few choices — and all were pricey. Motivated by the large difference in hosting prices in the late ’90s, Martin Hetzner launched one of the country’s first hosting companies. At first, according to International Marketing Assistant Katie Snow, the main challenge included investing in expensive hardware and building the company’s own datacenters. Since 1997, however, Hetzner Online has expanded to offer countless dedicated server configurations, along with virtual servers and web hosting in cloud and shared environments. 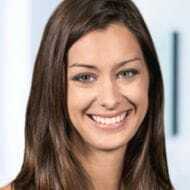 Although Hetzner Online joins many high-end hosting providers in investing in automation, Katie was quick to point out that the company deploys its time-saving systems in its own datacenters, rather than in colocated space. “A lot of the companies that are getting a bit of an edge on each other are doing as much as they can with automation and making things easy for themselves and customers,” she said. A team of in-house engineers designed Hetzner Online’s first datacenter park in 2009 in Falkenstein, Germany, roughly two hours east of company headquarters and another datacenter park in Nuremberg. Hetzner Online employees continue to operate the two datacenters parks while sister company Hetzner Finland is close to finishing another datacenter. That inch-by-inch familiarity with the company’s datacenters bodes well for Hetzner Online’s engineers and system administrators, who have direct input on the hardware designs and configurations installed. In addition to meeting the standards for quality and processing power, Hetzner Online’s custom-designed hardware components must be extremely energy-efficient. Katie estimated that each of the company’s dedicated server configurations is tested to be as eco-friendly and as useful as possible. 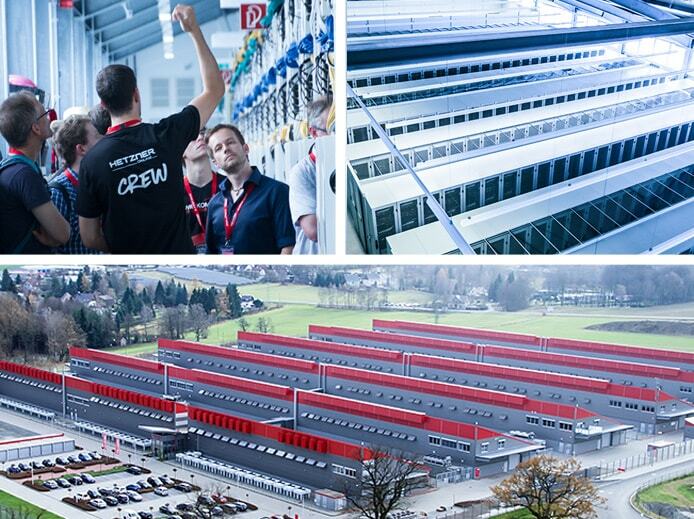 Hetzner Online’s datacenter parks feature higher-than-usual raised floors and a direct free cooling system. For normal operations, Hetzner Online uses renewable energy from a company that generates electricity from hydropower to power its datacenter parks with zero carbon-dioxide emissions. The datacenter parks’ raised floors are higher than usual, according to Katie, which allows more air to circulate under the server racks. In addition to low prices, Hetzner Online is also known for a wide variety of hosting configurations that include shared hosting and managed servers to unmanaged virtual and dedicated servers. Because of the large number of unmanaged products, Katie said most of the company’s customers already have some server administration experience. “They can be anywhere from gamers and private customers who might run a server as a hobby, all the way to very large organizations and hosting resellers,” she said. EX servers: The most affordable option, EX servers come with Intel Core i7 processors and Skylake architecture. Customers can choose a model with GeForce GTX graphics processor, which is popular with gamers and researchers. AX servers: Hetzner Online is one of only a few companies that sell servers with AMD Epyc CPUs, which are popular for virtualization, graphics, research, and machine learning. “We’re pretty proud of these, and they’re very much in high demand,” Katie said. PX servers: Intel Xeon processors power Hetzner Online’s high-capacity line of servers, which include Intel’s Hyper-Threading and Hexa-Core Haswell technologies. SX servers: Hetzner Online’s storage-minded servers particularly resonate with any organizations with large databases, such as enterprises, universities, and banks. Dell servers: The name-brand options combine the best components of the various server lines into machines with Intel Xeon processors and high-capacity SATA or SSD storage. When new server generations come out, Hetzner Online offers the older equipment to customers at Dutch auction pricing (prices slowly decrease until someone snaps up the server). In addition to the dedicated servers, Hetzner Online offers a range of virtual, cloud, and shared hosting options, along with colocation, storage, and domain name services. The company is poised to break into the public cloud market at the end of January, as well. “We’re really looking forward to seeing how the market reacts to traditional Hetzner Online prices applied to the public cloud,” Katie said. Katie, a native English speaker, often looks through social media to converse with customers and prospective clients. Hetzner Online employees from a variety of departments all find ways to contribute to customer support. Hetzner Online employs roughly 250 people, each of whom may donate a select amount of money to charities of their choice.